Balsamic vinegar has become one of the hottest food trends over the past twenty years, despite it being widely used in Italy for generations. With the increase in demand, lower grades and even imitations have begun to crop up. Use this guide to the varieties of balsamic vinegar to navigate grocery store shelves and know the products you're purchasing. Small differences in the wording on the labels of balsamic vinegar can mean big differences between what is inside the bottle. 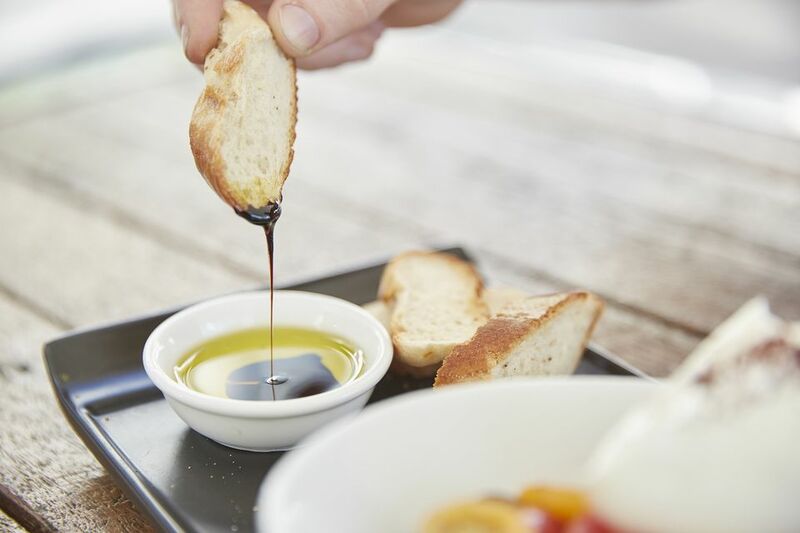 There are three main grades of balsamic vinegar: traditional balsamic vinegar, commercial grade balsamic vinegar, and condiment grade balsamic vinegar. Several varieties may be available within each grade. Traditional balsamic vinegar may be labeled as "Aceto Balsamico Tradizionale di Reggio Emilia" or "Aceto Balsamico Tradizionale di Modena." Vinegar labeled with these names must be produced in either the regions of Modena or Reggio Emilia, Italy. The process by which these traditional vinegars are made takes years and produces an incredibly thick, glossy, flavorful product. Only Trebbiano or Lambrusco grapes are used to make this type of balsamic vinegar. The juice from these grapes is aged in wooden barrels for 12 to 18 years to develop its unique flavor. Traditional balsamic vinegar is the highest grade available and carry the largest price tag. Commercial grade balsamic vinegars are mass produced and aged for a minimum amount of time, if at all. These vinegars are made from wine vinegar and often have caramel coloring, thickeners, and flavor added. Commercial grade balsamic vinegar may be labeled simply as "Balsamic Vinegar of Modena" if they are, in fact, produced in that region. Domestic vinegar made in the United States or in other regions can not carry the Modena name. These vinegars still have a uniquely sweet and sour flavor and are perfectly suitable for salad dressings, marinades, and sauces. This label is given to a variety of balsamic vinegars that don't quite fit the stringent requirements to be called Traditional Balsamic Vinegar, but have more time and care taken than commercial grades. For instance, vinegars made using the same techniques as Traditional Balsamic Vinegar of Modena, but produced outside of that region may be labeled as a condiment grade balsamic vinegar. Vinegars that are made by the traditional standards and within the designated regions of Italy, but aged for fewer than 12 years are also considered condiment grade. Condiment grade balsamic vinegars may carry the labels "Balsamic Vinegar of Modena PGI," "condimento balsamico," "salsa balsamica," or "salsa di mosto cotto." These vinegars provide a depth of flavor similar to traditional balsamic vinegar, but at a more reasonable price tag. Balsamic vinegar can be stored indefinitely in a closed container at room temperature. Although the color may darken slightly and solids may precipitate out, this is normal and does not indicate spoilage. To preserve the best flavor, store between 40 F and 85 F.